Over winter break, I participated in an international colloquium sponsored by Social Enterprise @ Goizueta. Professor Peter Roberts led 20 Evening MBA students through Guatemala and El Salvador to learn about social entrepreneurship and specialty coffee in these countries. This blog focuses on the social entrepreneurs we met, while my next blog will focus on our encounters with specialty coffee in Central America. When I first learned this in my undergrad Intro to Economics course, I argued vehemently against Friedman’s position. Surely companies have a moral obligation to consider the well-being of their employees, customers and environment. Surely there doesn’t need to be a blatant division between powerful profit-maximizing corporations and donation-dependent nonprofit organizations. As someone with both a bleeding heart and a Type A personality, I have struggled to find my place in between the realms of nonprofit and for-profit. I want to solve social problems, but I don’t want to focus my energy on fundraising. I want to work for a profitable company, but not one that will sacrifice morals for a higher bottom line. My struggle has led me to explore alternate business models, such as social enterprises. This January, I joined the Social Enterprise @ Goizueta international module to meet with social entrepreneurs in Central America. As we heard the career trajectories of the social entrepreneurs, I heard stories that strongly resonated with my own experiences: individuals with nonprofit backgrounds shared stories of burnout and frustration with having to be dependent on grants and donations; individuals with corporate backgrounds shared stories of apathy and frustration with deriving little meaning from their work. Social entrepreneurship seemed to strike the perfect balance — using market-based solutions to address social concerns. Social enterprises in Guatemala and El Salvador are directly addressing some of our world’s most complicated issues. They are providing electricity to rural communities, creating jobs in economically distressed regions, preserving historic traditions like weaving and cobblery and ushering new industries (like e-commerce) into Central America. Below I have profiled just a few of the social enterprises that we encountered during our SE@G trip. Each of these enterprises demonstrates that it is possible to accomplish social good while achieving a positive bottom line. 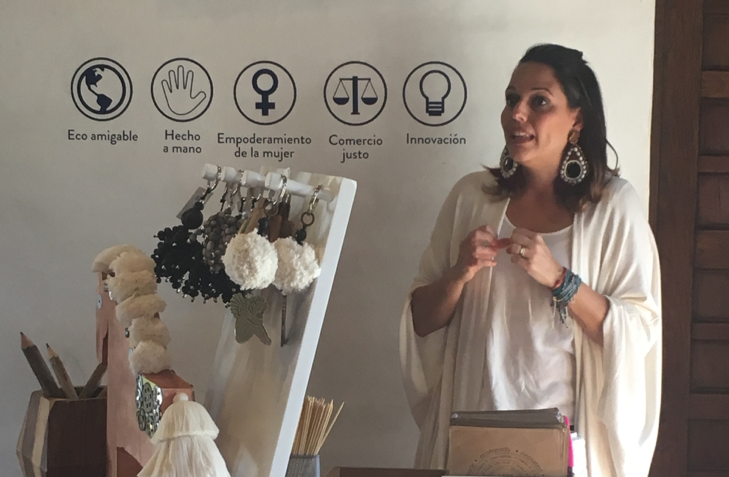 El Salvadoran fashion designer Lula Mena innovates eco-friendly fashion accessories, then women in El Salvador handcraft those designs. Mena has created economic growth in rural communities by providing well-paying jobs to women who have not historically participated in the formal workforce. Using a simple, open-source filtration design created by a 70-year-old Guatemalan man, Ecofiltro provides safe drinking water to many developing and developed communities. Ecofiltro uses a hybrid business model in which sales of more expensive filters in urban communities finance the distribution of more affordable filters in rural communities. With a desire to preserve Guatemalan textile traditions, Casa Flor Designs produces high-quality, handmade women’s clothing. They pay fair wages to their master weavers, they produce custom-sized clothes so that all body types are honored and they function on a made-to-order system so that they reduce textile waste. Like many companies, UTZ was formed as a result of a failed business experiment. Four friends set out to design boots, but in the process, they discovered that it was prohibitively expensive to ship internationally and it was a logistical nightmare to process e-commerce transactions. So, they gave up on their boot-making and entered into the service industry. UTZ Box helps Guatemalan makers ship their products at affordable rates. UTZ Market serves as an online marketplace for Guatemalan artisans. Kingo delivers affordable solar energy to communities that do not currently have access to electricity. Their systems provide energy that is safer, more affordable and more reliable than current illumination methods like candles and kerosene. 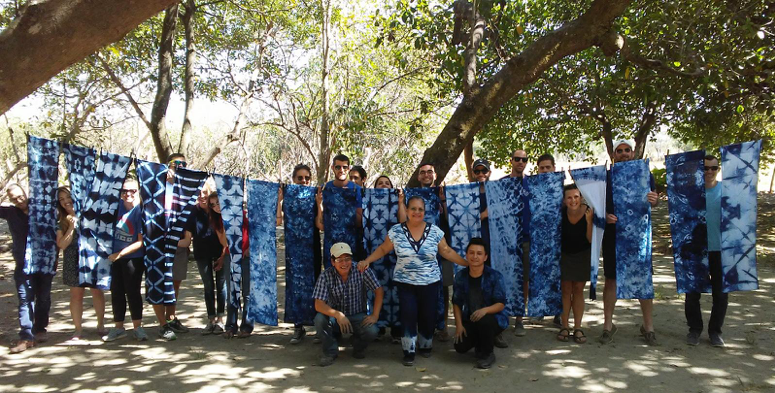 One of two organic indigo farms in the world, Hacienda Los Nacimientos was founded in the aftermath of El Salvador’s civil war. When Rhina Rehmann inherited the land, it was sand. She chose to be an organic farm to preserve the environment. She sells her organic indigo to companies like Gap, Benneton and Levi’s. Want to learn more about social entrepreneurship in Guatemala and El Salvador? Check out these organizations: Semilla Nueva, Programa Valentina, Alterna, Impact Hub of Antigua Guatemala, Starfish, The New Denim Project, Soya Nutribar and Hybrico. Or better yet, go meet some of the organizations in person by participating in the next Social Enterprise @ Goizueta travel module.